Angkor Wat is a temple in Cambodia and the largest single religious monument in the world. It was originally constructed as a Hindu temple and gradually transformed into a Buddhist temple towards the end of the 12th century. 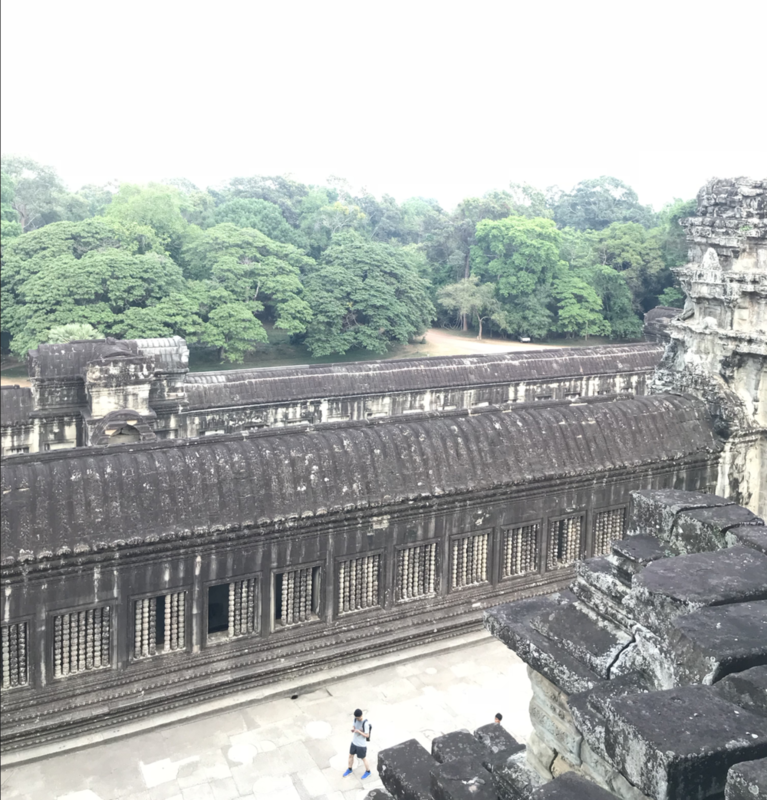 It was built by the Khmer King Suryavarman II in the early 12th century in present-day Angkor, the capital of the Khmer Empire, as his state temple. The temple is at the top of the high classical style of Khmer architecture and has become a symbol of Cambodia, appearing on its national flag. The Churning of the Sea of Milk Gallery, located in the third enclosure of the temple complex of Angkor Wat, is 49 meters in length and displays an intricately sculpted bas-reliefs that portrays devas and asuras in a dramatically rendered tug of war, representing the eternal struggle of good and evil that churns amrit, the elixir of everlasting life, from the primordial ocean. ICR, specifically Glenn Boornazian, served as the Program Director for the World Monuments Fund (WMF) in Cambodia on this and other temple projects at Angkor. ICR, assisted by local WMF Khmer staff, performed surveying, investigative work and coordinated structural engineers to perform a series of non-destructive tests on the gallery main roof vault; west wall exterior and interior (bas relief); and columns. Analytical testing on stone samples and previous repair materials was conducted with the assistance of the Metropolitan Museum of Art’s Research Chemist and two environmental monitoring programs were implemented in the gallery. ICR then developed a complete conservation plan to address the problems affecting the CSM Gallery: from a rolling scaffolding crane, temporary protection and facilities planning to conservation materials and methods to temporary interpretive planning and aspects of the visitor experience. The project was designed to be implemented in conjunction with the APSARA National Authority and includes an educational component for training of local crafts people in select conservation techniques.